Welcome to the world of greek yogurt recipes! It’s a tasty, flavorful, and delicious world that involves many recipes with greek yogurt — and some you might not expect! These easy greek yogurt recipes include greek yogurt dinner recipes, greek yogurt breakfast ideas, and lunch options, plus great greek yogurt desserts. Enjoy these 35+ greek yogurt ideas all in one place! Greek yogurt is a nutritional powerhouse. It contains protein, calcium, probiotics, iodine, and vitamin B12. The creamy and tasty greek yogurt improves bone health, reduces appetite, boosts the metabolism, promotes digestive system health, builds muscle mass, encourages good mental health, lowers blood pressure, and reduces the risk of diabetes. I’m loving all these amazing health benefits, but you know what else I love? The taste, texture, and versatility of greek yogurt. Because greek yogurt is not only healthy, it’s also delicious! And so are greek yogurt recipes. All of them, yes. 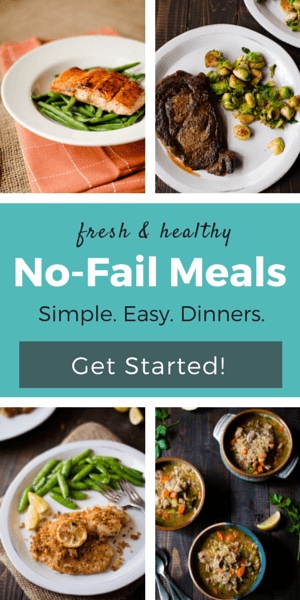 There are no recipes using plain greek yogurt that I tested and did not like. And I tested plenty, trust me. If the health benefits of greek yogurt sound amazing and my experience with it made you question what to make with greek yogurt, I’ve got you covered! I have many suggestions for how to eat greek yogurt including greek yogurt breakfast ideas (and I’m not talking about plain greek yogurt over cereal, I’m talking about amazing stuff), greek yogurt dinner recipes, and other greek yogurt ideas I’m sure you’ll love. All in one place. 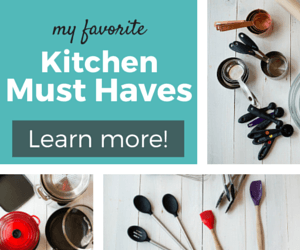 To make the most of greek yogurt recipes, get your kitchen essentials and kitchen tools ready. 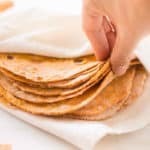 With these tools, you’ll be able to explore the versatility of greek yogurt and use it in greek yogurt dinner recipes, in healthy treat recipes, and you’ll be able to test new greek yogurt breakfast ideas. for storing greek yogurt recipes – airtight containers. If you want to incorporate more greek yogurt into your diet, try greek yogurt dinner recipes. How? Make a dipping sauce with greek yogurt and serve it with chicken wings, fish sticks, or sweet potato fries. Or make greek yogurt sauce for tacos. Make salad dressings – greek yogurt makes a great base for salad dressings. 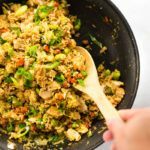 Mix it with different spices and ingredients to get different flavors. Healthy greek yogurt recipes can become your new favorite sweet treats. Hello, frozen yogurt! But I have other suggestions too, just keep reading. Use greek yogurt instead of cream in gratins to lower the fat amount and to make them healthier. Don’t be afraid to explore new recipes using plain greek yogurt, try new flavor combinations. If you use greek yogurt for sweets, try it in savory recipes too. And vice-versa. If you use greek yogurt for breakfast meals, try it in dressings too. Add different fruits in your frozen yogurt. Skip the store-bought ranch dressing and make your own with greek yogurt. Greek yogurt can be used as a direct replacement for mayonnaise and sour cream! More on that here. Look for full fat plain greek yogurt for the most nutritious, clean option and avoid any greek yogurt that is low fat or fat free or has added sweeteners and artificial flavors. This list of recipes with greek yogurt includes everything you want and need. Then some more healthy greek yogurt recipes. Just to be sure you’re not missing out on anything greek yogurt related. Cooking with greek yogurt is very easy thanks to its versatility, texture, and taste. Few ingredients are this versatile. So it’s no surprise that I have so many plain greek yogurt recipes for you. The first recipes using plain greek yogurt are 2 dipping sauce recipes perfect for these Sweet Potato Soft Pretzel Bites (with Sweet Potato Dough!). Honey Mustard Dip and Sweet Greek Yogurt Dip – one is sour, the other one is sweet but both of them are totes delicious and perfect with the pretzel bites. If you’re wondering what to do with greek yogurt, the easiest thing you can do is to use it in a salad dressing instead of mayo. Like I did in this Healthy Broccoli Salad with Greek Yogurt Dressing. Most recipes with greek yogurt are simple and easy like this Matcha Green Tea Frozen Yogurt Recipe, which is a healthy and delicious treat, BTW. Learn How to Make Baja Fish Tacos with fresh pico de gallo, corn tortillas, and a Creamy White Dill Sauce made with greek yogurt, of course. They are delicious and the greek yogurt sauce brings all the flavors of the tacos together. For a nutrition-packed lunch, count on greek yogurt to make a clean ranch dressing for this Chicken Cobb Mason Jar Salad. This salad is exciting and delicious. And, if you love ranch dressing, you’ll be happy with the flavors and awesomeness of the clean ranch dressing. Speaking of salad dressings and salads made with greek yogurt, I have 5 healthy salad dressings explained for you in this How to Make Homemade Salad Dressing + 5 Healthy Salad Dressing Recipes post. My favorite recipes with yogurt are frozen yogurt recipes. Because I love frozen yogurt. Especially when it’s healthy and delicious. Learn How To Make Frozen Yogurt + 4 New Frozen Yogurt Recipes. As you probably guessed, all these recipes use greek yogurt. If you want to enjoy tacos with fewer carbs, try this Healthy Taco Salad Recipe. It has a delish Creamy Cilantro Lime Dressing made with greek yogurt. This greek yogurt dressing involves a delicious steak cobb salad paired with a yogurt-based avocado cilantro lime salad dressing. The Steak Cobb Salad With Creamy Avocado Cilantro Lime Dressing is perfect for lunch. I told you that my favorite plain greek yogurt recipes are frozen yogurt recipes, right? Well, I have another one for you! This time a delicious Peach Frozen Yogurt recipe. And another one! This 4 Ingredient Strawberry Frozen Yogurt is sweet, healthy, and the perfect treat during summer days. 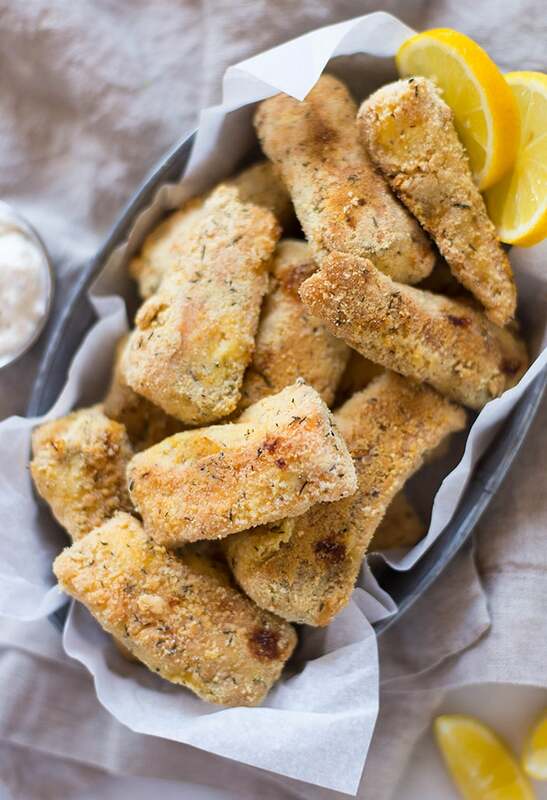 These Baked Almond Chicken Strips are comfort food made easy. And the greek yogurt recipe for the clean honey mustard dipping sauce is pure perfection! Like the Almond Chicken Strips, these Salmon Fish Sticks are healthy. And kid-approved. And just amazing. Especially with the lemon dill greek yogurt dipping sauce. Want some greek yogurt breakfast ideas? 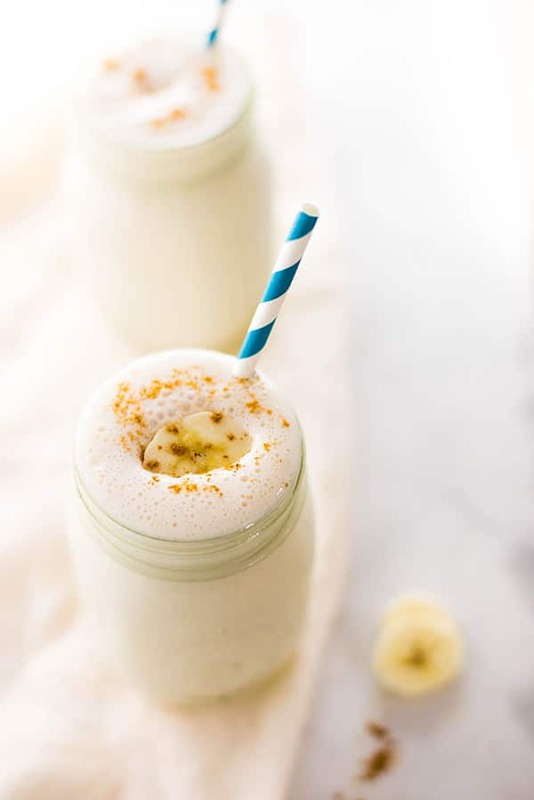 Let’s start with this Banana Protein Shake. It’s delicious, packed with protein, and ready in less than 5 minutes. 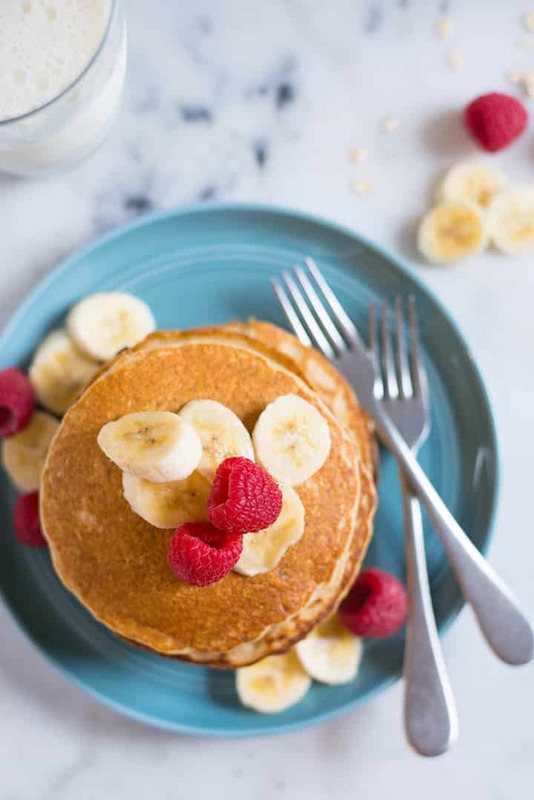 Let’s continue the greek yogurt breakfast ideas with these Banana Oat Blender Pancakes. The pancakes are easy to make, clean, healthy, and so darn delicious. 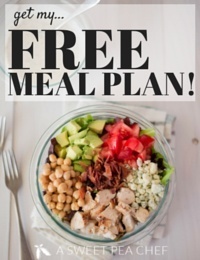 There are many recipes using greek yogurt that make amazing healthy meals. But greek yogurt is great in desserts too. And, this time, I’m not talking about frozen yogurt recipes. I’m talking about a Healthy Carrot Cake Recipe. 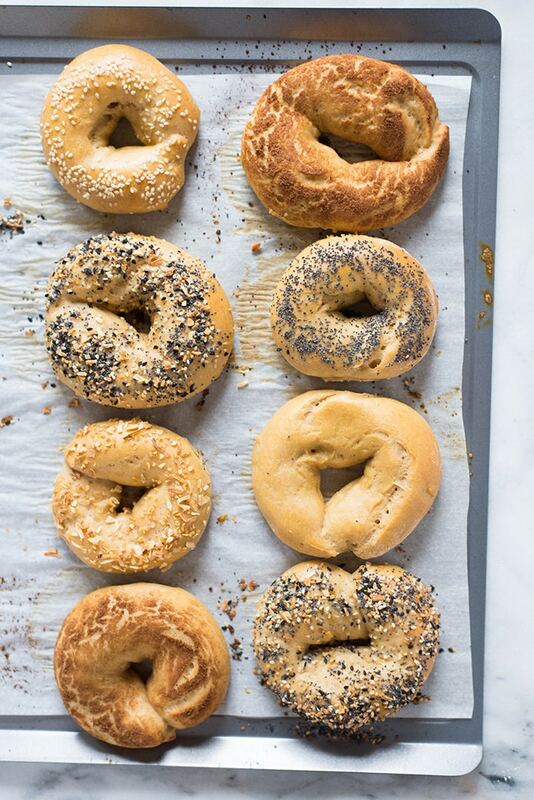 This Homemade Bagel Recipe is a simple whole wheat pastry flour, baking powder, sea salt, and plain greek yogurt recipe that makes delicious and healthy bagels. More greek yogurt ideas? Sure thing! 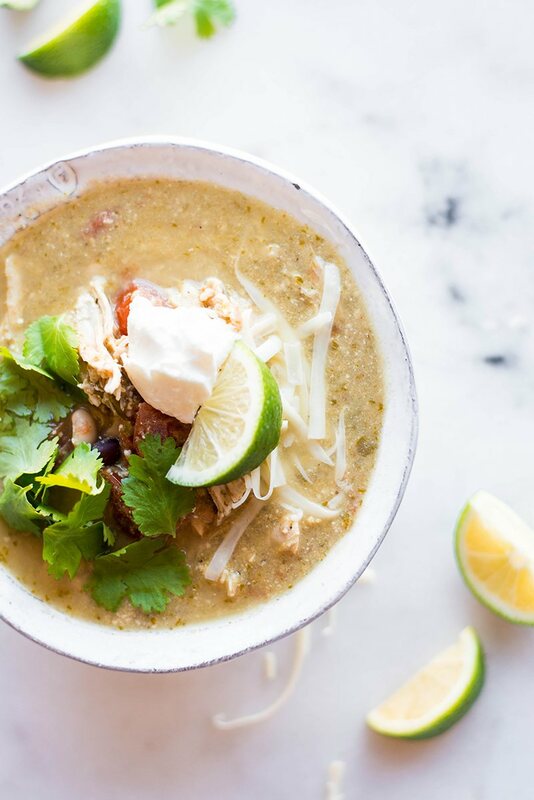 How about this Crock Pot Chicken Enchilada Soup? The soup is flavorful, tasty, and comforting. Greek yogurt is able to make unhealthy dishes healthy. 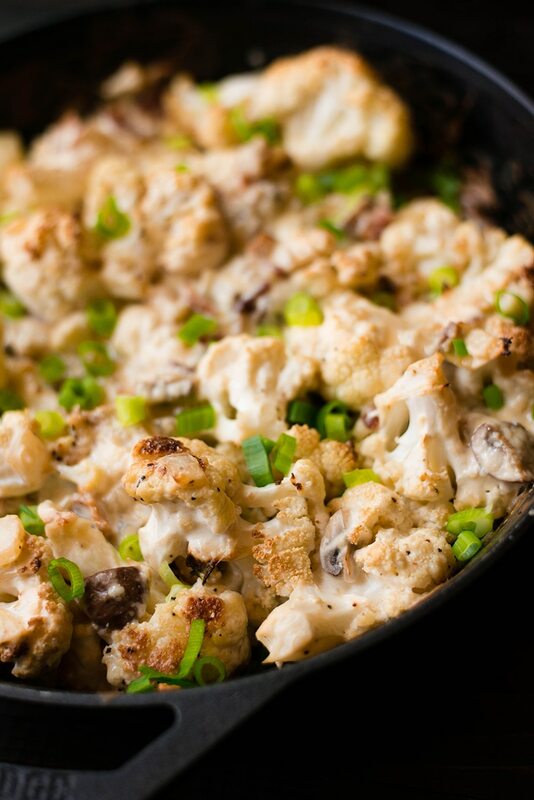 Here’s an example – Cauliflower Gratin. Usually, gratin recipes are high in fat and high in calorie but, thanks to greek yogurt, this one isn’t. So, next time you’re thinking what to do with greek yogurt, try to transform the classic gratin or other classic oven dishes that require sour cream. 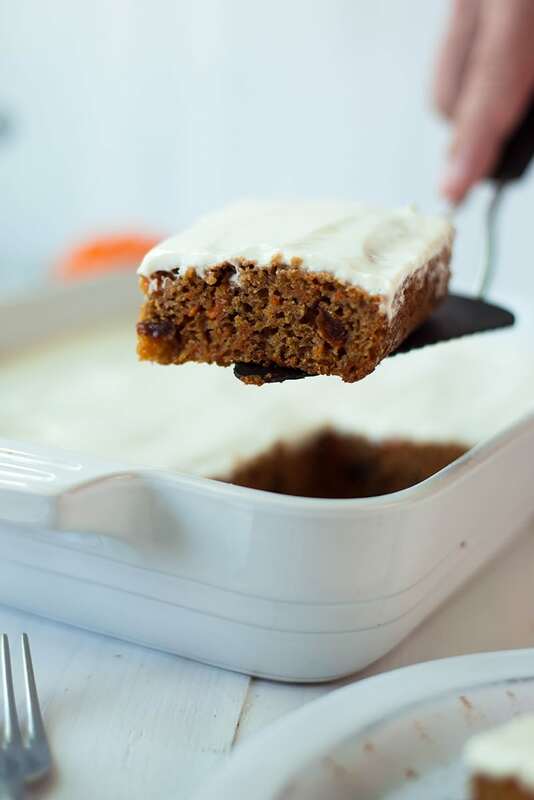 Do you love greek yogurt recipes that make delicious desserts? 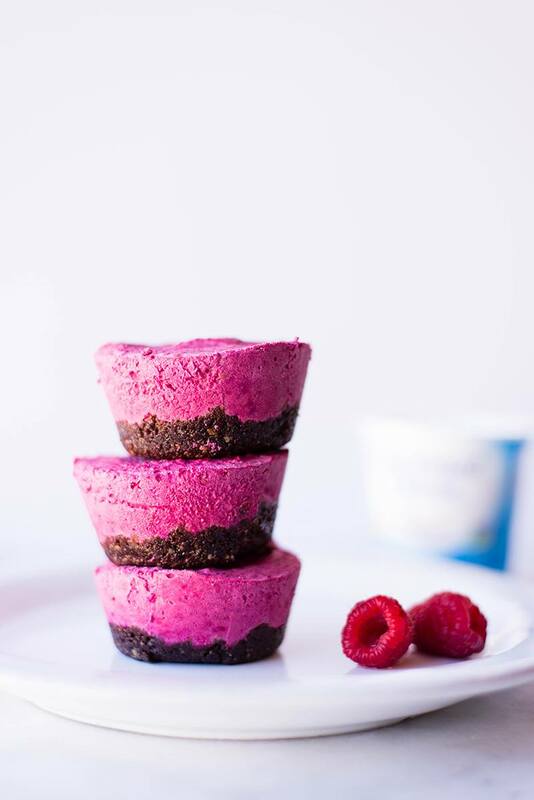 Good because I have another one for you – No-Bake Raspberry Beet Mini Cheesecakes. Cute, yummy, and perfect mini cheesecakes. Recipes using greek yogurt make great healthy appetizers too! 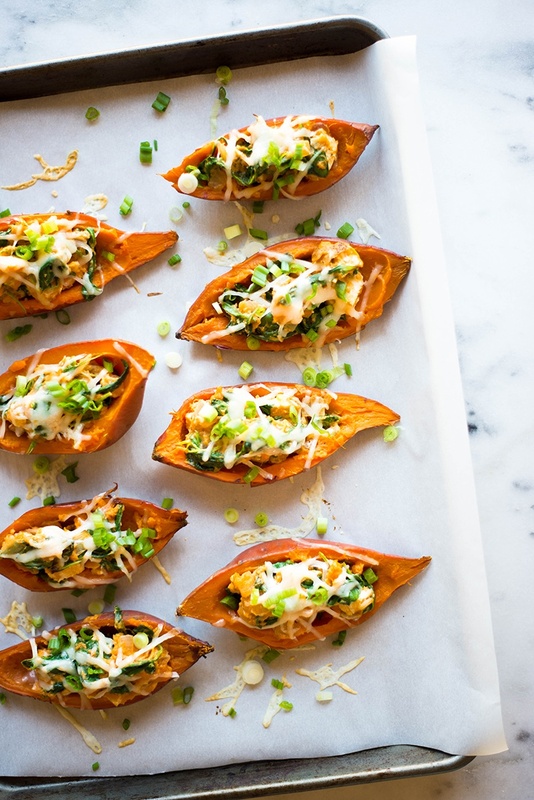 These Sweet Potato Skins are stuffed with seasoned chicken, cooked spinach, and greek yogurt. They are just as good as the unhealthy version but better for you. 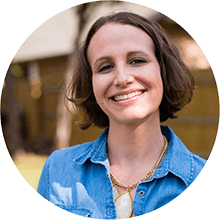 I have good news – loaded tots can be healthy! And great news – ranch dip can be healthy too! 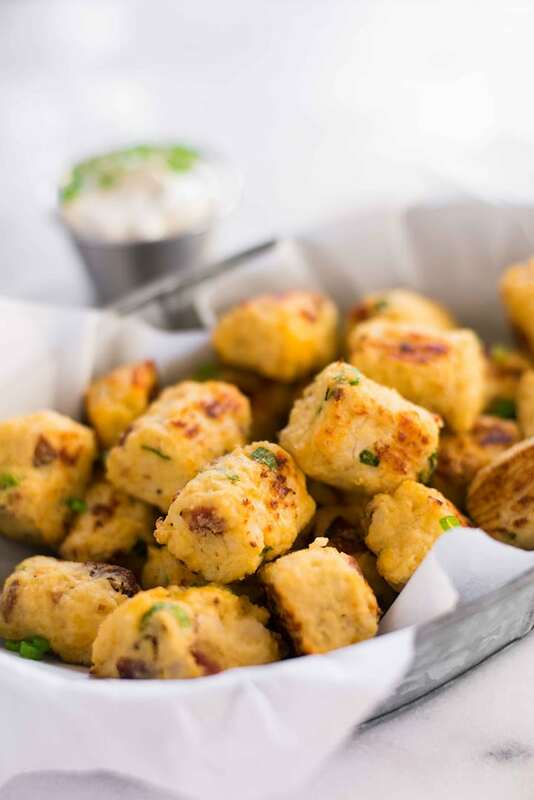 So Loaded Cauliflower Tots with greek yogurt ranch dip it is! When it comes to easy greek yogurt recipes, dips and dressings come to mind. I shared some with you already. And all are amazing. This Caramelized Onion Dip is just as amazing. 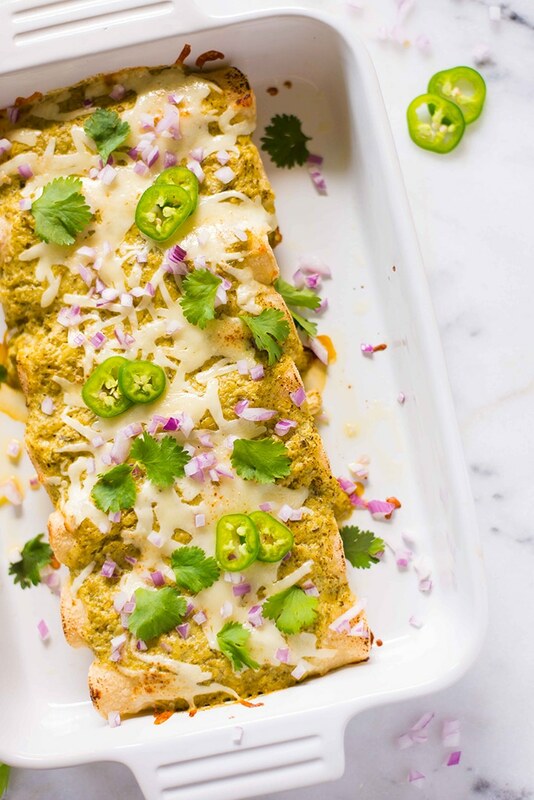 Easy to make, healthy, and delicious, these Green Chile Chicken Enchiladas are perfect for lunch or dinner. 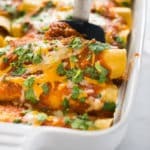 These enchiladas wouldn’t be the same without salsa verde so the greek yogurt recipe for salsa verde is included. 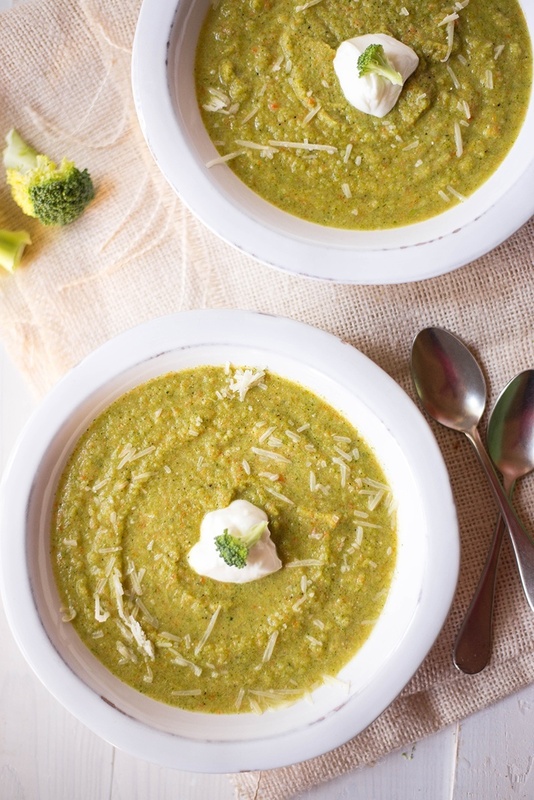 Simple, ready in 25 minutes, and very tasty, this Easy Cream Of Broccoli Soup it’s made without cream. Greek yogurt saved the day again! Greek yogurt recipes are just that awesome! 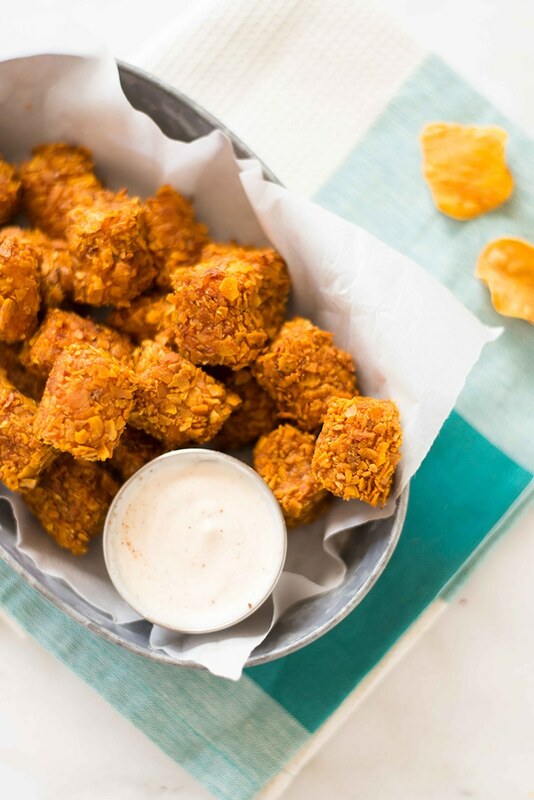 Another suggestion for how to eat greek yogurt that I absolutely love is to make Crispy Baked Sweet Potato Tots and dip them into Maple Cinnamon Greek Yogurt Dip. YUM! 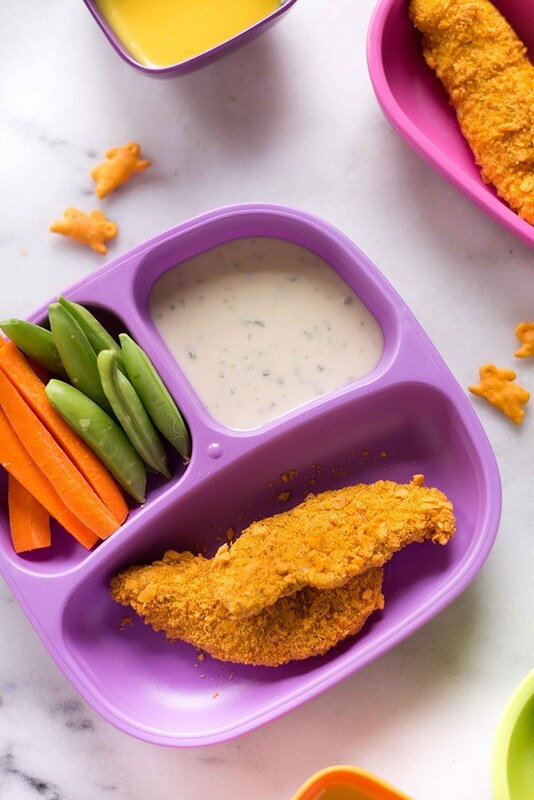 These Kid-Friendly Cheddar Crusted Baked Chicken Strips are perfect for busy weeknights. And, when they are dipped in the Honey Mustard Dipping Sauce made with greek yogurt, they get even better. 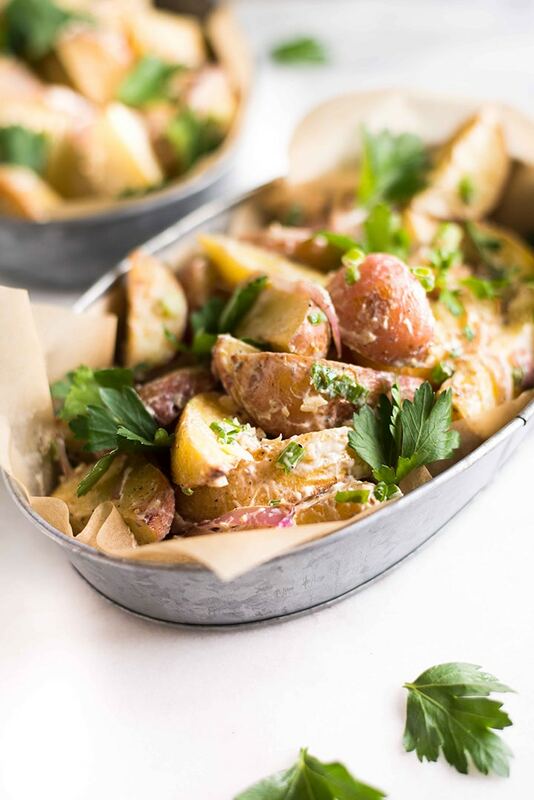 Did you know Roasted Potato Salad can be a greek yogurt recipe? Yes, seriously. No need for mayo or eggs! It’s healthier this way but the taste is incredibly good. Missing the greek yogurt breakfast ideas? 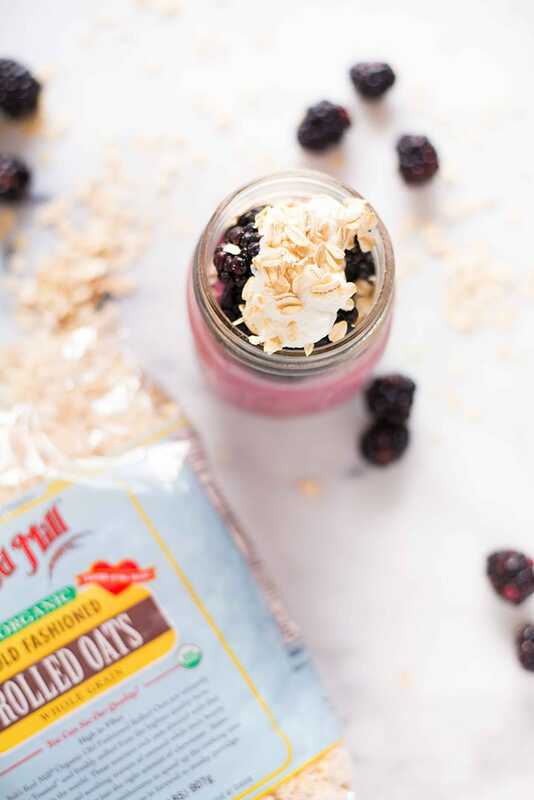 No worries, this Blackberry Cobbler Easy Overnight Oats is exactly your heart desires! 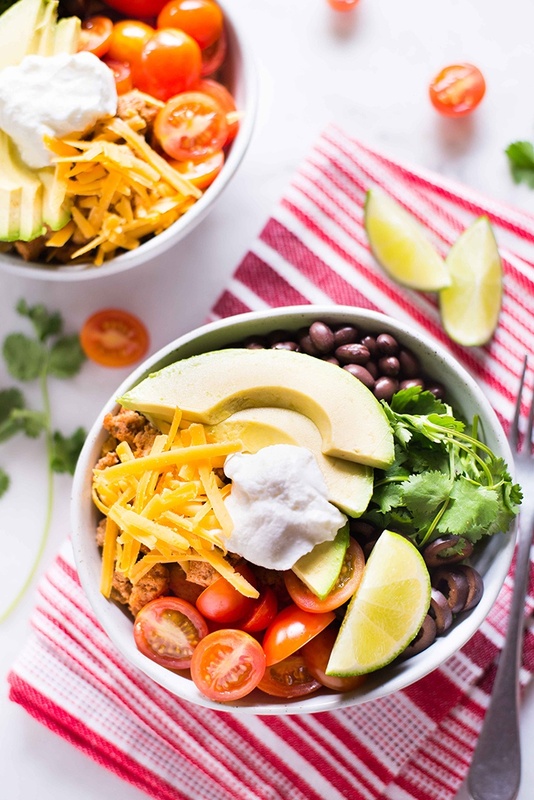 A quick break from the greek yogurt breakfast ideas for this Turkey Taco Lunch Bowl. 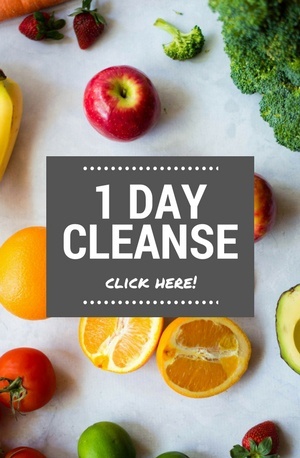 It’s clean, healthy, nutritious, and delicious. 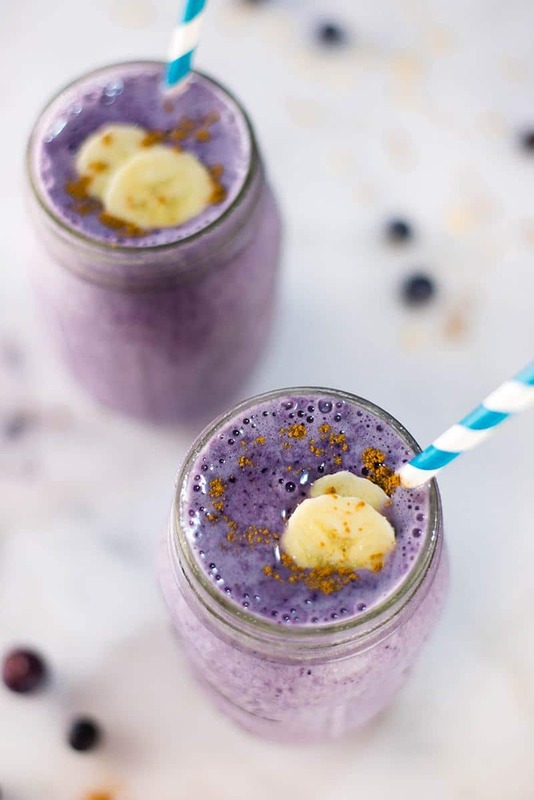 Made with almond milk, banana, rolled oats, vanilla extract, cinnamon, blueberries, protein powder, and, of course, greek yogurt, this Blueberry Muffin Protein Smoothie is a delicious breakfast that should be on your greek yogurt breakfast ideas list. 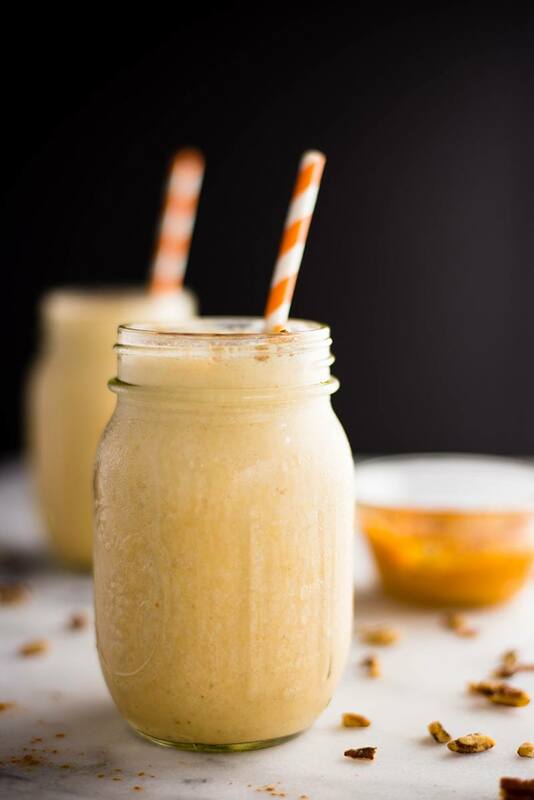 This Pumpkin Cheesecake Protein Smoothie should be on the list of greek yogurt breakfast ideas too. Smoothies made with greek yogurt are so healthy and yummy. And so perfect for breakfast. You can take smoothies to the next level by turning them into smoothie bowls. 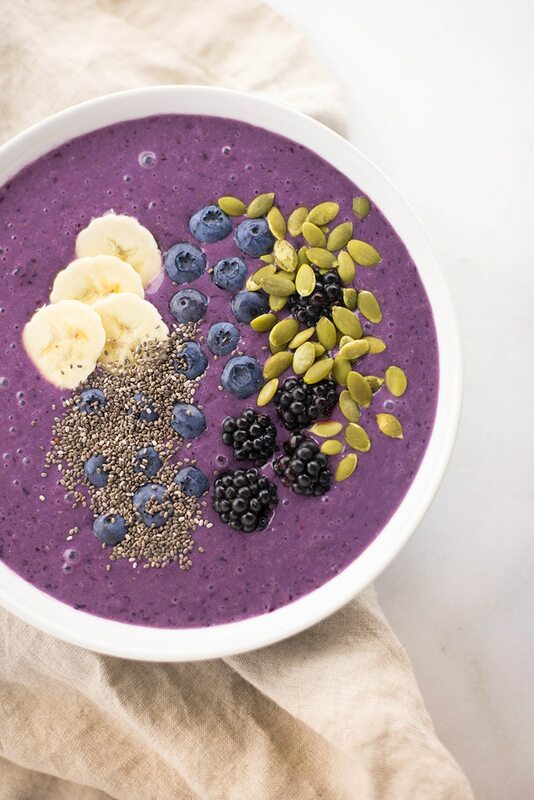 This Banana Blueberry Smoothie Bowl is colorful, clean, and filled with goodness. If you want a special answer to your what to make with greek yogurt question, I think you’ll love this Frozen Yogurt Bark with Raspberries and Pistachios. 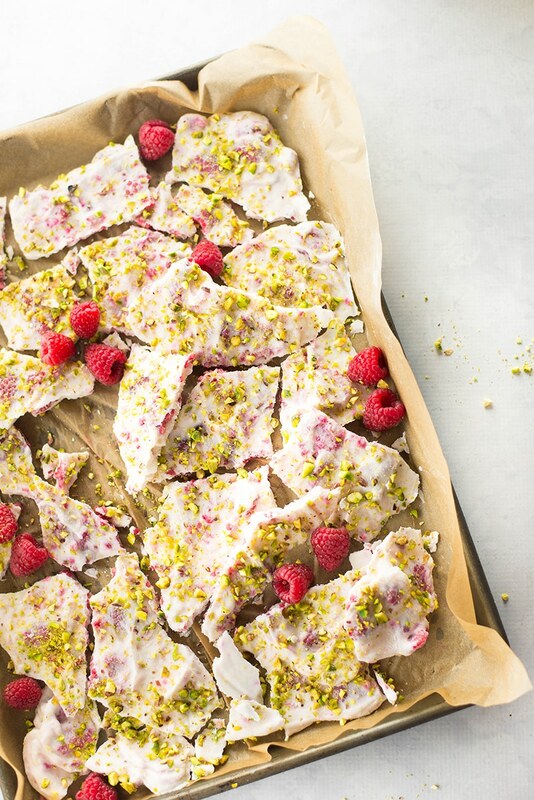 Frozen yogurt meets bark in a delicious sweet treat with raspberries and pistachios. I talked a lot about this yogurt ranch dip in this post. That’s because it’s awesome. It goes perfectly with chicken wings too. 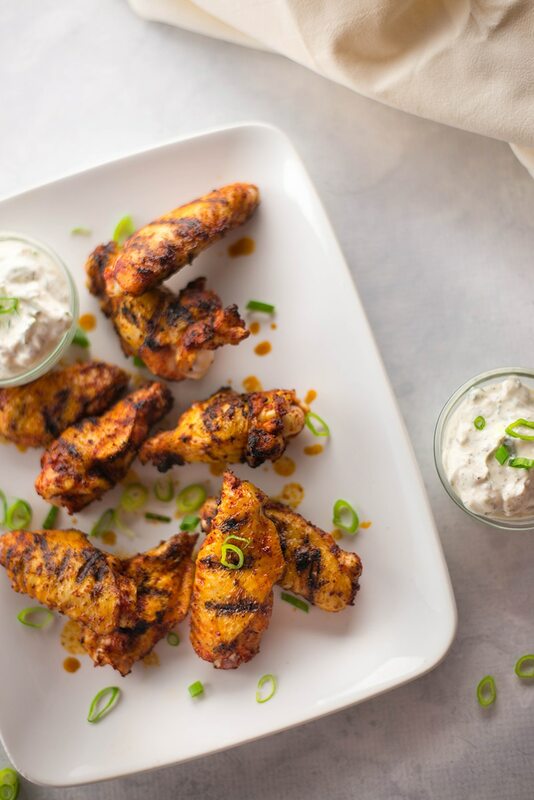 Try these Grilled Chicken Wings With Yogurt Ranch Dip if you don’t believe me. What do you think about 3 more greek yogurt breakfast ideas? 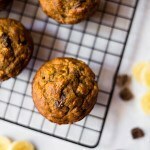 Easy, yummy breakfasts. 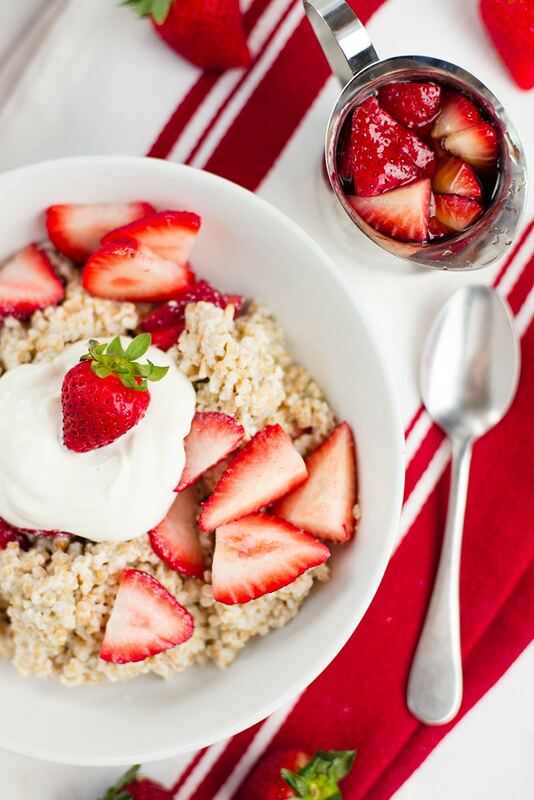 First, we have Strawberries And Cream Steel Cut Oats. Such a healthy and delicious way to enjoy oatmeal. Then we have sweet and spicy Fresh Peach Cobbler Overnight Oats. 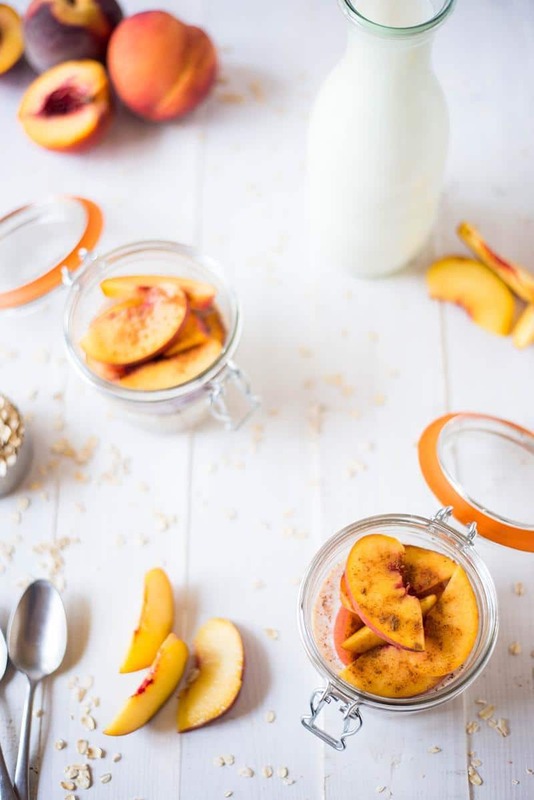 Oats, milk, greek yogurt, honey, spices, and peaches – what’s not to love, right? 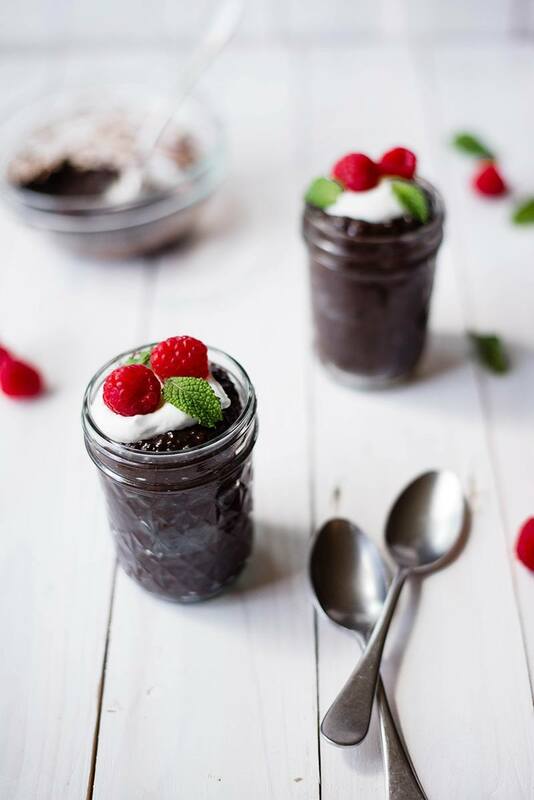 We also have this Overnight Chocolate Chia Pudding. The perfect greek yogurt recipe for breakfast because… chocolate. An easy and nutritious breakfast. It works for dessert too. And, if greek yogurt dinner recipes are what you want, make these Chicken Tacos. 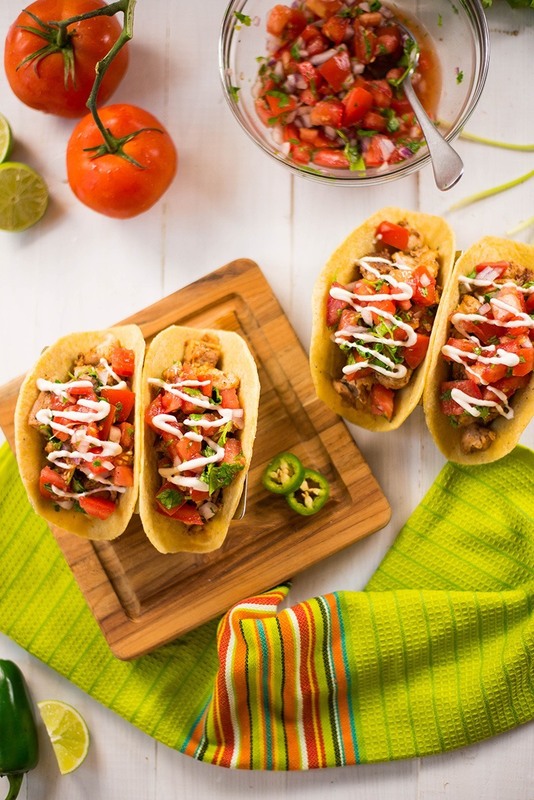 Use greek yogurt to make the creamy chipotle lime sauce, cook the chicken, prep the taco seasoning, make fresh pico de gallo, then assemble everything in a corn tortilla and drizzle with the sauce.